“Hannah (in the Bible) never spoke at a women’s conference. She never wrote a book. She never broadcast over the radio or appeared to the masses on television. 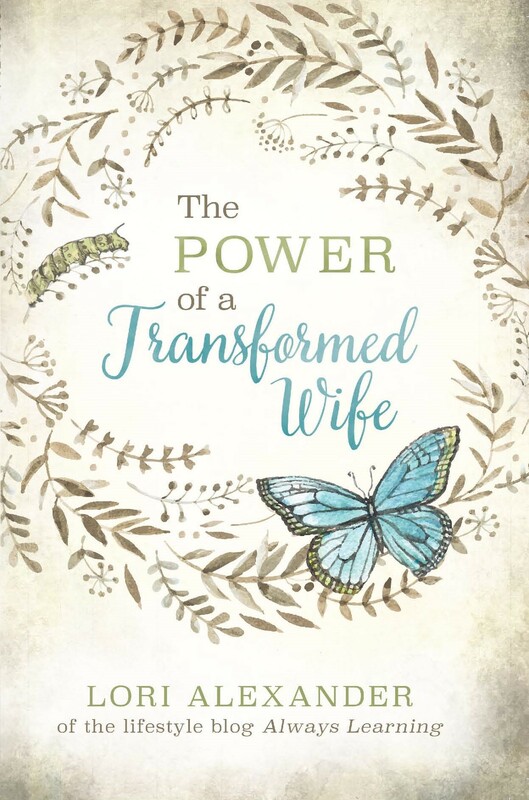 She was not the leader of any women’s ministry, nor did she ever have a following of women while she lived. How, then, did she come to be numbered among the great women or history? Her ‘secret’ is simple. She bore children, and poured herself into the task of raising them for the Lord” (Helen Aardsma). Hannah wanted a child almost more than anything else but the Lord had “shut up her womb” (1 Samuel 1:5). She “poured out her soul before the Lord” and asked Him for a child because she knew that He is the only one who closes and opens wombs. She made a vow to the Lord that if He gave her a child, she would give that child back to the Lord. “Wherefore it came to pass, when the time was come about after Hannah had conceived, that she bare a son, and called his name Samuel, saying, Because I have asked him of the Lord” (1 Samuel 1:20). She kept her vow and gave her child to the Lord after he had been weaned. Hannah went on to bear three more sons and two daughters. She didn’t want fame as many women today. 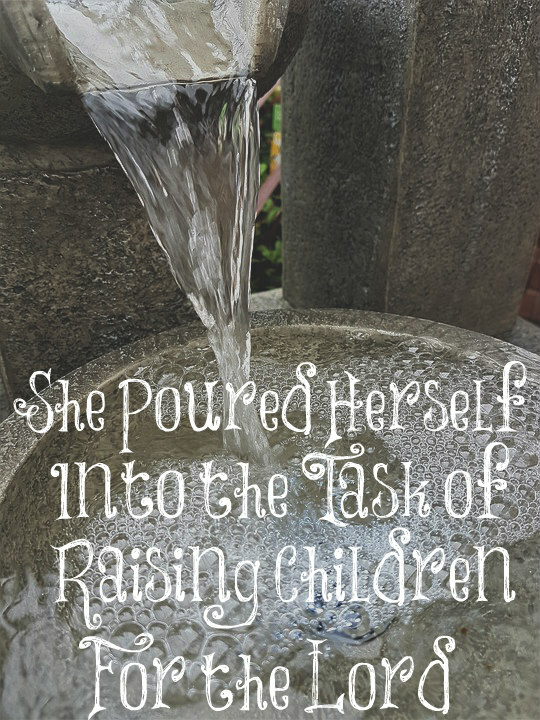 She simply wanted to raise children for the Lord and the Lord blessed her with this task. She was the one home teaching and training her children for the Lord which is a full-time ministry. This is all she wanted to do with her life. She loved the Lord deeply and she knew that her greatest contribution she could make in life was to raise children who knew Him. What can be more important? “I have no greater joy than to hear that my children walk in truth” (3 John 4). There’s NO greater joy! Women are told today to “find themselves” and “love themselves” and make sure to have plenty of “me time.” None of these were important to Hannah; for she knew that in order to find oneself, it required giving oneself away. She didn’t need to find herself because all that mattered to her was that God knew and loved her. She prayed, “My heart rejoiceth in the Lord, mine horn is exalted in the Lord: my mouth is enlarged over mine enemies; because I rejoice in thy salvation” (1 Samuel 2:1). She didn’t need to learn to love herself because she knew God, who is love, loved her deeply and she was secure in His love not her’s. Her value and worth came from Him. “He will keep the feet of his saints, and the wicked shall be silent in darkness; for by strength shall no man prevail” (1 Samuel 2:9). She also didn’t search for “me time” since she wanted to give her life as a living sacrifice to the Lord for all He had done for her. “He raiseth up the poor out of the dust, and lifteth up the beggar from the dunghill, to set them among princes, and to make them inherit the throne of glory: for the pillars of the earth are the Lord’s, and he hath set the world upon them” (1 Samuel 2:8). If you have been blessed with children, young women, pour your life into those precious blessings from the Lord. Yes, you’ll feel overwhelmed and exhausted at times but those times will pass. Your children will grow up sooner than you can imagine and leave your home. All that matters is that they know the Lord and His Word. Remind yourself that the joy of the Lord is your strength and that you can do all things through Christ who strengthens you. When your children grow up to walk in truth, you will know without a doubt that there truly is no greater joy! This is a beautiful post. I am thinking of my mother-in-law as I read it. Her whole life has been her family. She worked hard on a farm along side my late father-in-law. She has been fully involved in the lives of her grandchildren. I love to sit in her kitchen and enjoy coffee and a chat with her. She always know who needs some help in her community and is quick to give of her time and many of her neighbors have been the recipient of her hospitality. She will make sure everyone else has new clothes before she buys any for herself. I have learned so much from her about faith, humility and putting others first. Whenever I see that silly bumper sticker that says “Well behaved women seldom make history” I just shake my head. My MIL might not make history in the traditional sense, but her faithful obedience has impacted a generation and probably more. She is indeed a good and faithful servant. I had friend, well more of an acquaintance, years ago who was a nurse. Our marriages took place within a few months of each other. She wanted and wanted a baby, but almost three years went by. I at that point had three in less than three years. 🙂 After her first finally came, her children started arriving in regular intervals. One day, having her by for tea, she told me she was keeping up “working” two days a week…I felt confused, as her husband was making way better money than we were. She then openly admitted it was for “her adult time”…where in the world does that come from? So, either her mom would watch the babies or she’d WORK NIGHTS (for adult time mind you) while hubby watched their children. I scratched my head and thought. why?? And, isn’t she missing great “adult time” with her hubby at night??? I’d take that any day! I have to say, I know it may sound extreme, but her kids weren’t the same as the ones I’ve observed in full-time-at home moms. I am so grateful to God that I not only stay home to raise my children but that I would truly rather be nowhere else! It is THE mission of my life! Nothing else before or later will ever compare. I do feel like water being poured in and so exhausted often, but I would like to die one day feeling “spent”- spent in love and good for my family. Lori, this might seem like a stupid question but what is considered a homemaker? I’ve always associated staying home full time as a homemaker, not working outside the home. When I fill out the occupation section on a medical form, I list homemaker or housewife in that section because I’m a full time wife and mom. So, when a woman said recently, I drive a school bus, but my favorite thing is being a homemaker, I was a bit confused. Has the definition of that changed? No, it hasn’t. She is simply saying that she loves all of the activities in and around the home the best but she isn’t a full-time homemaker as you are. God wants us to be keepers at home. Home is where our work and ministry are. Lori, obscurity is the modern woman’ number 1 nightmare. The thought that she’s not out there on display is a no no; so she’s loud and gads about on social media and in the work place, she dresses provocatively and has no modesty: she answers to no one, she’s foul mouthed and the world cheers her on “you go girrrrl” because anything men can do, women can do too, she looks down on motherhood, leaving her children to be raised by hirelings or putting off motherhood entirely: her main motivation and raison d’etre is, “look at me, look at me,”. Along comes the word of God telling her to repent of her sin and believe in Christ alone for her salvation, to live a life worthy of the Christian calling; to cultivate a gentle and quiet spirit, to be a keeper at home, to be silent in church, to be chaste, to marry and bear children, to submit to her own husband, to be hospitable and self sacrificing, and what do you think that glory hogging, vanity driven diva will do? They call me names, try to convince me to change my mind, and slander me; that’s what they do. They falsely believe by doing this that they will change my mind and stop teaching the truths of biblical womanhood. They are foolish women. Beautifully written! You are a true highlight/encouragement to my days! As I battle my sickness I too am learning more of God’s plan in having my children close to me. Some days it is all I can do to move from one room to another. Finding joy in the small things as you lay on the floor and play legos. Sit on a chair and teach your girls how to prepare food. God’s plan is perfect in having mother’s be at home teaching and training them in Righteousness! To God Be the Glory for MOTHERHOOD!!! If a woman works full time outside the home and raises children, she will have no time to rest and keep healthy. This is why it is good for a mother to be a stay at home mother because it means she has time to chill out and relax at home while her children are playing. Time to refrresh oneself and look after oneself is so important, God want sus to be happy and have good boundaries with self care- to not let oursselves become burned out. Women who try to have it all just do not get the time to rest they need. women who try to do it all often become neurotic, self effacing and people pleasers ( very unGodly traits) feeling they can never say no. but those SAHMs are not under a boss and can set their own pace.